A billionaire who lost his ‘test case’ in the Supreme Court of Appeal, concerning speeding fines at an exclusive estate, intends appealing the decision in the Constitutional Court. 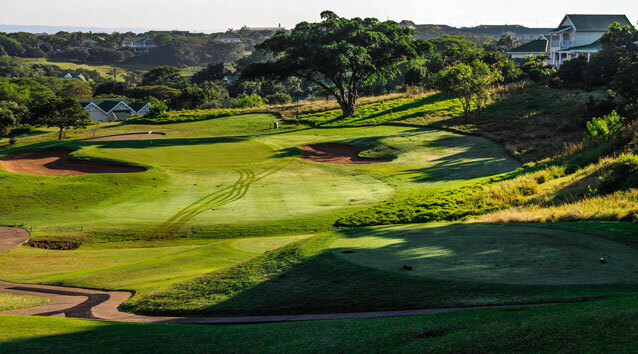 The judgment by a full bench of the SCA in favour of the Mount Edgecombe Country Club in Durban is a landmark one. The decision applies to all gated estates in the country. The matter, however is far from over. The counsel acting for Niemesh Singh, who owns numerous properties near Gateway and elsewhere, confirmed that the Constitutional Court would be approached. Attorney Sivi Pather, representing Singh, said constitutional issues and the rights of property owners at gated estates required scrutiny by the highest court in the land. “There are some very concerning constitutional issues that emerged from the judgment and we are taking the decision under advice from Mr Singh’s wider legal team, to lodge an appeal in the Constitutional Court,” said Pather. Singh declined to pay three speeding fines totalling R3 000 which were issued against his daughter in October 2013. The speed limit at the estate is 40km/h. The first two fines were issued on 19 October 2013 when she allegedly drove at 69 and 65 km/h respectively. The third was issued on 29 October 2013 when she was clocked at 67 km/h. In each of the three instances, a penalty of R1 500 was imposed. Singh appealed against the first two penalties, but not the third. It was asserted in the appeal that his son had been involved in a motor vehicle collision outside estate’s precinct and that his daughter had to urgently render assistance. The appeal succeeded in relation to one of the two contraventions. Singh was thus required to pay R3 000 in penalties in accordance with the association’s ‘pay first argue later’ regime. Judge Visvanathan Ponnan in penning the judgment said gated estates were entitled to draw up their own rules, including setting speed limits on internal roads. The SCA said Judges Rishi Seegobin, Mahendra Chetty and Acting Judge Bezuidenhout in the Provincial Appeal Court had erred when they ruled that the road regulations of the Mount Edgecombe Country Club were invalid. Judge Ponnan said the Provincial Appeal Court’s decision that the estate’s management association had usurped the role of the transport MEC and the eThekwini Municipality was wrong. Singh first challenged the Mount Edgecombe Country Club in the Durban High Court and lost. He subsequently appealed that decision in the Provincial Appeal Court. That court overturned the ruling of the Durban High Court. The Mount Edgecombe Country Club, backed by the Association of Residential Communities then appealed that judgment in the SCA. The association represents 300 exclusive estates in South Africa. After Singh refused to pay the fines, the estate blocked his access card. The Durban High Court, after an urgent application, ordered that his access card be reactivated. Judge Ponnan said in the lower courts, the association had incorrectly conceded that the roads in the estate were public roads. But, he said, it was clear that they were not public roads. “The estate is a private township which constructed its own roads. It is enclosed by a two metre high palisade fence which is topped with electrified security wiring. All ingress and egress is strictly controlled. Gated access points are controlled by security guards. Visitors are required to have an access code. And owners use biometric scanning,” he said. Judge Ponnan said even if they were public roads, the approach of the Provincial Appeal Court was wrong. “They reasoned that the association was usurping the functions of traffic authorities by erecting traffic signs and speed humps. But the relationship between an owner and the association is a private and contractual one,” said Judge Ponnan. He said the 40km/ph speed limit was not unreasonable. “It cannot be said that by ordaining a lower speed limit within a gated estate than the prescribed national legislation goes beyond promoting, advancing and protecting the interests of residents, or is unreasonable, especially given the presence of children and wildlife,” said the court. Desiree Stone, the CEO of Mount Edgecombe Country Club Estates, said they are pleased by the judgment. “We believe the enforcement of the rules of our estate are correct and are in the best interests of the residents living on the estate. This case has been a long, drawn out affair but the potential impact on other private estates is also what has kept us motivated to persevere” said Stone.